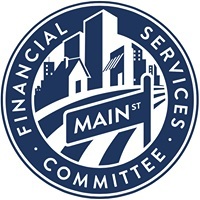 (WASHINGTON, DC) – (RealEstateRama) — Financial Services Committee Chairman Jeb Hensarling (R-TX) delivered the following opening statement at today’s full committee hearing to examine the Federal Housing Finance Agency’s (FHFA) role as conservator and regulator of the Government Sponsored Enterprises. Ten years ago, at the time of the financial crisis, Fannie and Freddie were thinly capitalized, they bought loans for as little as 3% down, they issued mortgage-backed securities encompassing roughly half of all first lean mortgages, and they were embroiled in multiple scandals. Fast forward to today, the GSEs remain thinly capitalized, they still securitize half of new mortgages, they are once again buying high-risk 3% down loans, and, surprise, they are once again embroiled in scandal. “The U.S. housing finance administration has been rocked by a series of investigations that have raised fresh doubts about the federal government’s management of the vast system that supports most of the nation’s mortgages. These headlines are not fake news. And so what we know is, after ten years, housing finance is in dire need of reform, and FHFA is in dire need of oversight. Should anybody need a refresher course, the Housing and Economic Recovery Act of 2008, known as HERA, directs the Director of FHFA to oversee the GSEs and to ensure they are operated in a safe and sound manner to ensure that the housing finance market is resilient and competitive and hat they are operated in the public interest. But we have already heard testimony within this hearing room that gives strong evidence that they are not. So for the past seven months, this committee has been investigating FHFA’s conduct as the supervisor and regulator of the GSEs and this has been strongly influenced by a series of reports by their Inspector General, who we will hear from shortly. Those reports would give very strong evidence that Fannie Mae has engaged in excessive spending inconsistent with its conservator status, and that FHFA failed to control that spending. There’s reason to believe that Fannie Mae avoided the FHFA lobbying regulations, and FHFA failed to properly enforce these regulations. There’s evidence that the GSE’s have attempted to evade restrictions on CEO salaries with the FHFA’s consent. There’s strong evidence supporting that Fannie Mae failed to appropriately address senior officer conflicts and FHFA’s failure to exercise adequate oversight in this area, and the list goes on and on. It is somewhere between folly, and peril, and legislative malpractice to continue to entrust almost all of housing finance to two GSE’s and one unelected, unaccountable individual with omnipotent powers. A position that the fifth circuit has found unconstitutional. Now we have three panels today. Our third panel we will hear from Director Watt, as well as the CEO of Fannie and the CEO of Freddie as well. Our second panel will contain the Inspector General for the Federal Housing Finance Agency, and our first panel consists of one witness, Ms. Simon Grimes – welcome Ms. Grimes. Ms. Grimes is a senior staffer and she is a special advisor at FHFA. She has made a serious allegation of sexual harassment against Director Watt. She has filed an EEOC claim and a civil suit under the Equal Pay Act. We all know that accusations are a daily occurrence in this town. But Ms. Grimes did not just bring an accusation, she brought evidence as well to substantiate her claim. As requested, she submitted to an interview of the Financial Services Committee staff and she brought evidence as well. She deserves to be heard, and she needs to be heard, and she has been invited as a witness. Now, given what’s happening at the other end of the Capitol as I speak, I’m not sure this hearing will be heard, but it should. And importantly, Director Watt deserves to be heard as well and he will be. There has been one investigation by the Postal Inspector General of Ms. Grimes claims and another is currently ongoing at the office of FHFA Inspector General who we will hear from shortly. This investigation must be independent, must be impartial, must be fair, and must be thorough, and we expect Director Watt to cooperate. I believe the record will show that Director Watt did not participate or cooperate with the first investigation, asserting a legal privilege which many do not recognize. As Chairman of the committee, I will not hesitate to use my full subpoena power to compel cooperation where necessary. I am also aware that our committee is not a court of law, we are not best equipped to be the finder of fact nor the dispenser of justice. That is best left to a forum with formal rules of evidence, due process, and the rules of civil procedure. So after both parties are heard, we will follow closely the FHFA investigation and Ms. Grimes’ civil suit as we continue to conduct our oversight and continue to conduct our investigation. Today, I expect both parties to be heard, and fully heard, and treated fairly. Federal employees must be able to work in a hostile-free environment, free of harassment, free of discrimination, and no one is above the law – and it is the business of this committee to ensure that takes place. Now I know that this charge does not take place in a vacuum, so I want to make a few comments about it. One, again I’m disturbed that anyone would hold themselves above the law or believe that standards which apply to their employees do not apply to them. I am also disturbed that the seriousness of a charge can somehow shift the burden of persuasion or the burden of proof to the accused. A presumption of innocence is foundational to our society, as is due process. I am the father of two teenagers. I want them to dream big dreams. I want them to live purpose-driven lives. I want them to achieve the happiness that comes with earned success using their hard work and talents. It is horrific to me to think that one day, when my daughter enters the workforce, that she might be harassed, that she might be discriminated against, that somebody might force themselves upon her or hold out career advancement on some type of quid pro quo. That is intolerable to me and I would want her to have the courage to bring those charges forward, and I would want society to support her and to take her charges seriously, and I would want justice. For too long, these charges were not taken seriously in American society. These are indeed troubling issues, and so whatever happened between Ms. Grimes and Director Watt should not be about symbolism, it ought to be about facts, it ought to be about equality before the law, it ought to be about fairness, and it ought to be about justice. But I do believe there is at least one inescapable conclusion, and that there’s something amiss at FHFA and this committee has to get to the bottom of it.